Yes, you read that title correctly: I’m officially halfway through my year abroad!! *screams internally* How can this be so? Where has the time gone? It feels like just yesterday that I was walking through Oxford for the first time, lugging my suitcase behind me and wondering how I would ever learn my way around without a map. How things change! 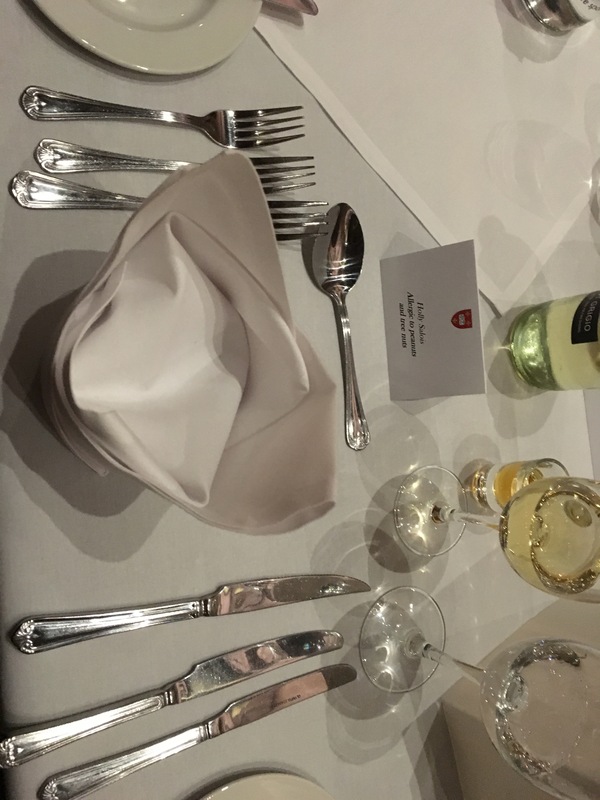 Mansfield College has this fantastic tradition called Halfway Hall, which is a formal dinner for all second years and visiting students to celebrate the halfway point of their Oxford experience. Formal hall is one of my favorite parts of Oxford, so I was ecstatic when I found out that we were all invited to this special event. After three courses of delicious food (and a dessert that was actually safe for me to eat with my allergy! ), we laughed over the announcement of who won the superlatives we voted for earlier that week. There’s nothing that makes you feel like you belong to a place more than sitting at a long table with friends, laughing over wine, and savoring the delicious chocolate dessert. In some ways, recognizing this halfway mark feels like an acknowledgement that my time here at Oxford is dwindling away fast. At the same time, I keep having to remind myself that I still have another four months abroad– the end is far from here! I suspect that the next term and a half will fly by faster than I expect or would like it to, but it’s nevertheless nice to know that I still have a significant amount of time left. There are still so many things I want to do and places I want to go in the next four months… Fingers crossed that I can check off as many items as possible from my list! Thanks for coming along on this journey with me through this weekly series. Also, please let me know if there are any topics you’d like me to talk about in future weeks! Food? Bookshops? Libraries? Restaurants? Cafes? Tell me what you’d like to hear more about! Do you feel like the past six months have gone by quickly? Let me know in the comments section below! < Previous Feminist Fridays: Have celebrities corrupted the feminist movement? Ahh time flies by so fast! Hope you’ll enjoy your last few months and that they don’t fly by TOO fast 😛 I don’t know what I want you to talk about in future posts haha, everything is interesting! Time flies by incredibly quickly. As a teacher, I can’t believe I’m over halfway through with my current class! time seriously flies by. I am currently on my semester abroad in Scotland, and it just dawned on me that I only have 2 more months here and I can’t believe it! wow! time really flies. I hope you’re having a great time. I’ll be traveling to London in 2 months and i’m very excited. Enjoy this experience, I know this wont be the last time you’ll be doing stuff like this, I think you are very smart, even if i dont know you at all, but just reading your blog i can tell. Aww thanks so much! ❤ That's so exciting that you're traveling to London soon! Have you been before? It’s a good sign that the time has flown by! Are you planning to travel outside of the UK at all?